The Sweet Shop originated in 1961 when Grace McKellop opened the store in Downtown Cadillac as a caramel corn shop. 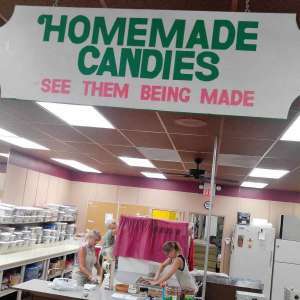 It developed into a full line candy store featuring homemade candy products, caramel corn, ice cream and a variety of gift items. In 1982 Paul and Helen Beardsley purchased the store and continued production on the original products while adding their own new products and also extended the gift line. In 2002, Janeen Russell the Beardsley’s daughter, purchased the store continuing the family relationship with The Sweet Shop. This tradition continues as Janeen’s children JP and Jasmine worked in the store during their grade school, high school & college years. THE SWEET SHOP CELEBRATES 50 YEARS! With over 50 years of experience in the premium chocolate business, The Sweet Shop has been a staple of Downtown Cadillac, Michigan. 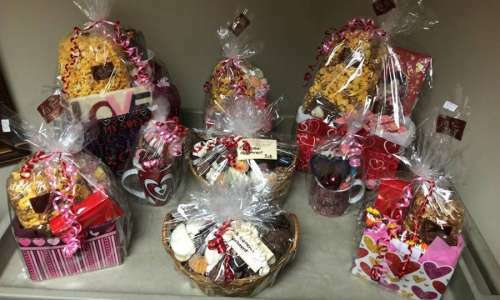 Known for our handmade chocolates and candies, we also create custom creations, gift baskets, and more! Our commitment to preservative free chocolate makes us one of the few shops that keep your health in mind when indulging in your favorite sweets. Along with serving our loyal, local residents, The Sweet Shop has expanded online and we can ship globally! Whether you are craving chocolate caramels or gourmet popcorn, our products are packaged and shipped quickly. As a family-owned business passed down through the generations, We offer hundreds of unique candies, along with our best selling fan favorites. Come on in and pick up our flagship candy – Snowbirds, candy nut clusters, or premium fudge! Over the years The Sweet Shop has engaged in supporting various local charities that benefit our community including OASIS, United Way, Love INC, Hospital fundraisers like The Power of the Purse, and many more. Throughout the year donations are also often given to address important local needs like schools, medical hardships, and various smaller fundraising efforts that need a little boost financially. This has always been a policy of The Sweet Shop as it allows us to give back to the community that has given us so much.